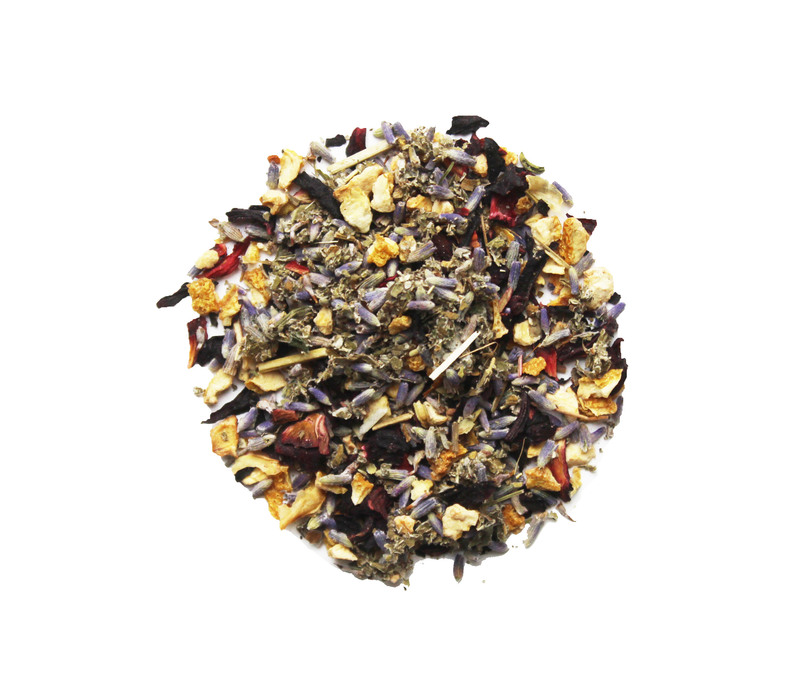 Lavender and raspberry leaf teas have a strong history in folk medicine. They are believed to provide a boost to the immune system, to protect the heart, increase metabolism, help regulate hormones, and reduce nausea and other gastrointestinal issues. While the benefits of this may sound like medicine, you'll find this tea to be far more enjoyable than any other medicine you've had in the past. If it isn't quite sweet enough for you, try adding some raw honey to really supercharge the taste and health benefits. Ingredients: Raspberry leaves, lavender leaves, lemon peels, hibiscus with raspberry flavor. I love this flavor and it goes really well warm or cold. I have always loved making lavendar lemonade so I am excited to try making it with this! This is the first tea I grabbed out of the box and I was not disappointed! This tea smells so wonderful when it's brewed and it's absolutely delicious. This tea is amazing. I can’t get enough of it. It is perfect before bed, as an afternoon treat, to take with me to work...it is the best tea I have ever had. Would 100% recommend to everyone!